OK, more snow, so it looks like a day in the newly tidied garage where I should have enough room to put up the horse and shave some birch spatulas and rough out some bowl blanks. 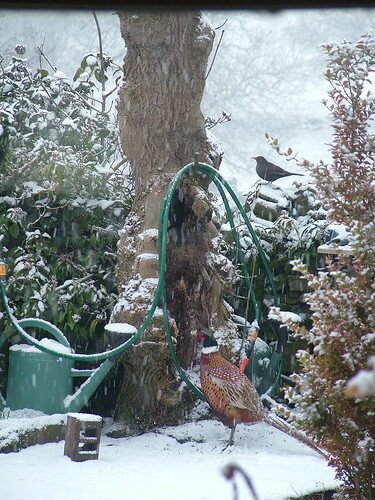 I suppose I’ll be eating my tiffin, left over from last night’s curry feast, at home today instead of in Strid, the snow is still falling. 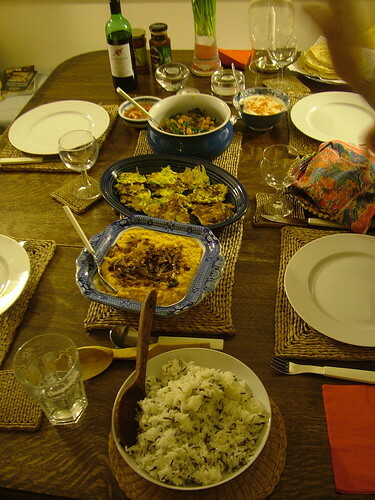 We had my brother and sister in law for dinner – they were drinking the wine, not us, honest! It is Lent you know. OK as soon as the bread comes out of the oven I’m off into the icebox, aka the garage. 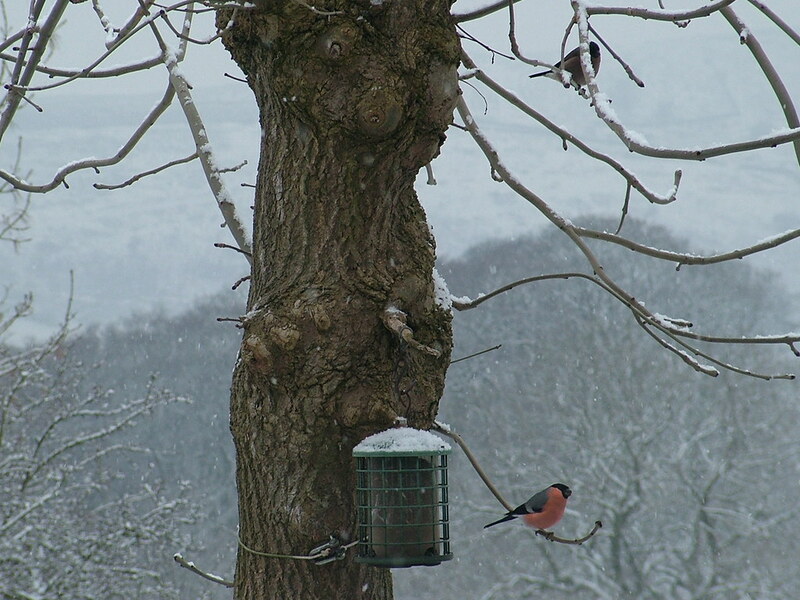 This entry was posted in Days off, Winter and tagged bullfinch, curry, pheasant, snow, spatula, tiffin by Flying Shavings. Bookmark the permalink. The top photograph is superb. I don’t quite know why but it puts me in mind of Hans Holbein.